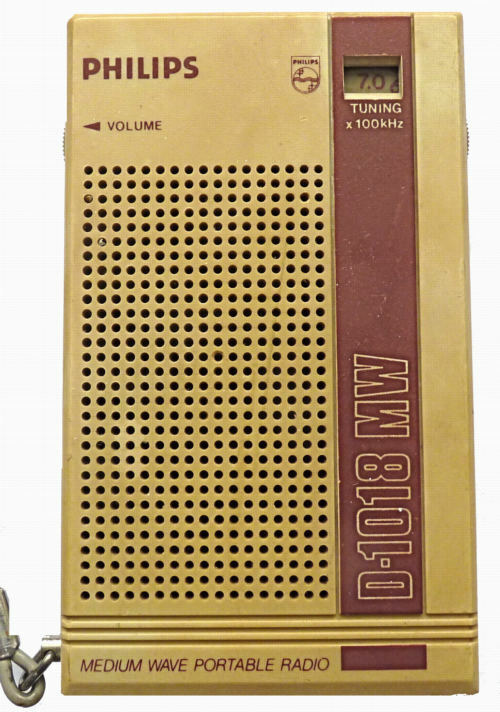 Portable Transistor radio Made for Philips in Hong Kong, possibly by Hang Sing. 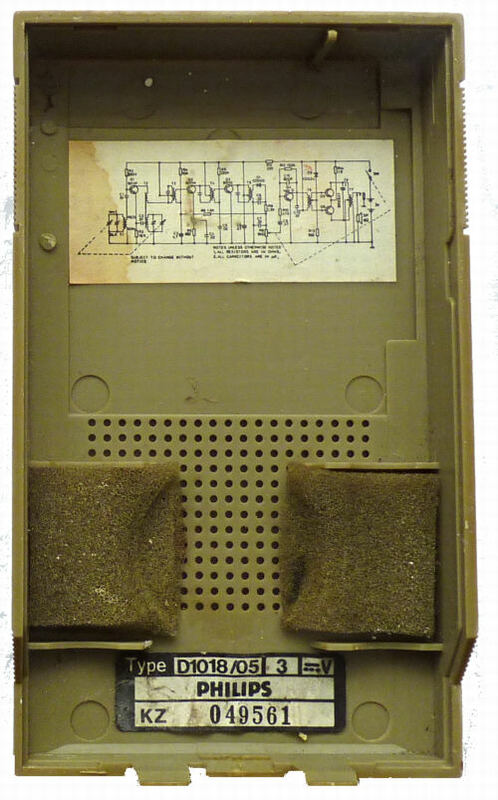 The radio is housed in a grey and tan plastic case. 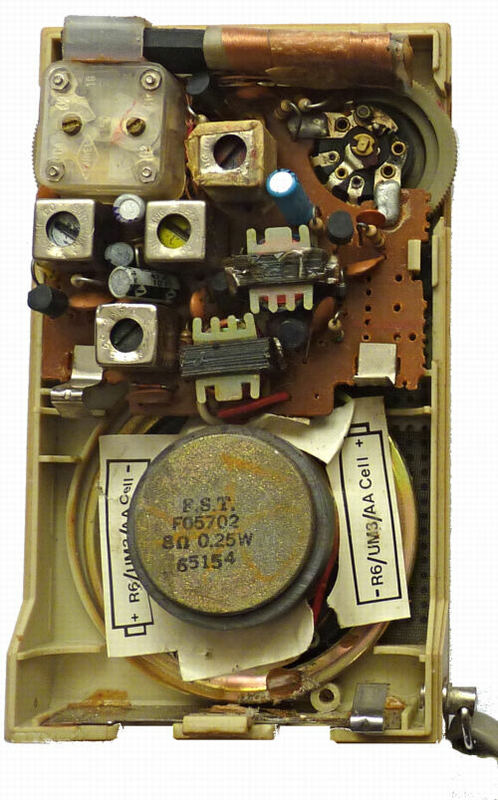 This is a typical cheap six transistor radio only covering the medium waveband. This radio is powered by two 1.5 volt size AA cells in series. I purchased it in 2013 for 99p on Ebay. working Hong Kong early 1980s [guessed from date code on the loudspeaker as years in Taiwan are counted from the founding of the republic in 1912 which might make it date from mid 1977]. Enlarged view of schematic diagram.